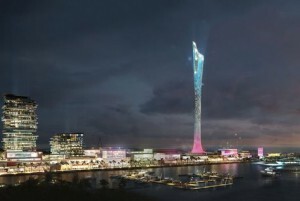 What calls for special attention is that Dubai Marina could soon play host to a 325m tall base-jumping tower, if plans put forward by a Hong Kong-based architect come to fruition. 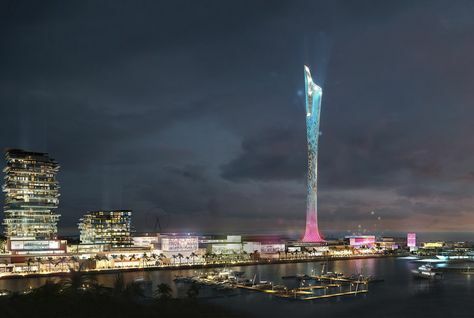 If commissioned, the Waterfront Base Jump Tower will provide a platform of extreme sports, and is designed to “emulate the ascent to Mount Everest, with multiple ‘base camps’ offering a variety of extreme climbing, abseiling and jumping activities”. 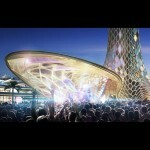 What’s more, the Archello website said that the tower, which has been designed by 10 Design, would also contain a planned activity plaza at its base, ice climbs at the top, and “opportunities for vertical cliff camping…[to] provide a unique way to experience the city’s skyline”. 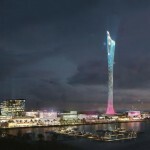 Even though 10 Design did not specify a location for the tower, architectural renderings showed that its proposed site is in Dubai Marina, adjacent to Skydive Dubai. 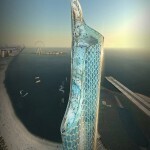 More importantly, the name of the developer who has commissioned the tower’s design was not disclosed.